If you’ve been following this site much, you’ll notice I love anniversaries: the 100th anniversary of Double Ten, the 100th anniversary of the Republic of China, and the various anniversaries of the Fall of Saigon and the Hong Kong Handover. I suppose I’m into these milestones because they bring together my passion for history and Asia. 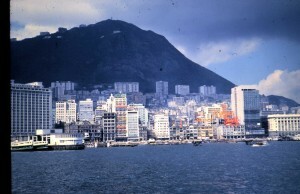 So as I think about anniversaries, I realize this year marks 50 years since my mom first stepped foot in Hong Kong. It gives me goosebumps just thinking how different my life would have been if my mom (and her family) had never traveled there. 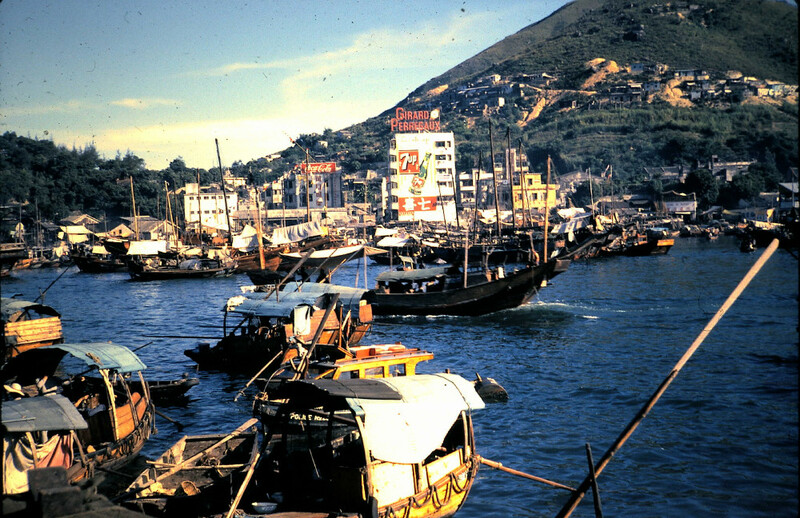 Here’s a little photo montage of Hong Kong back in 1962, the year my 20 year old mother first visited. 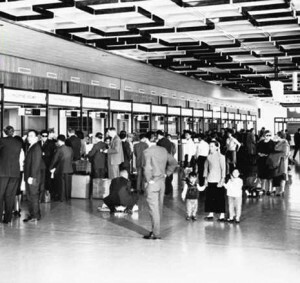 Kai Tak Airport used to be one of the highlights of Hong Kong. I miss it like a deceased relative. 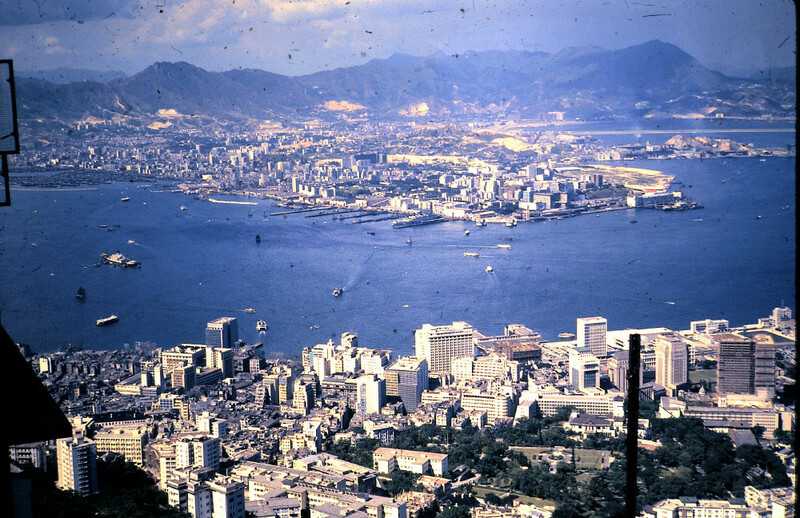 Kai Tak was that special. This photo shows the Central district and one of the world’s most beautiful skylines. This is my favorite view in the whole world, even with all the buildup since 1962. Here’s Central up close and personal. The police pagodas have long been replaced by traffic lights and the traffic has worsened considerably. It’s still just as glamorous. 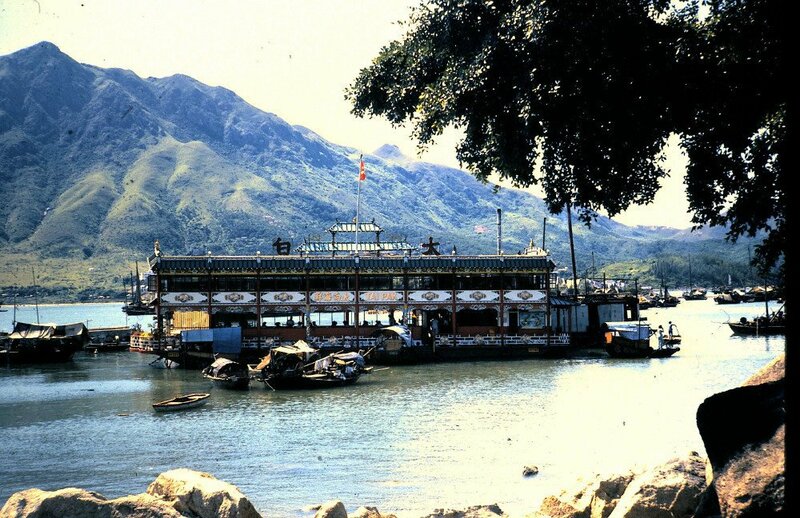 Floating restaurants were a big tourist attraction even back in 1962. Stubborn and determined not to be a tourist in Hong Kong, I never set foot in one. But I wish I had, just for the experience. 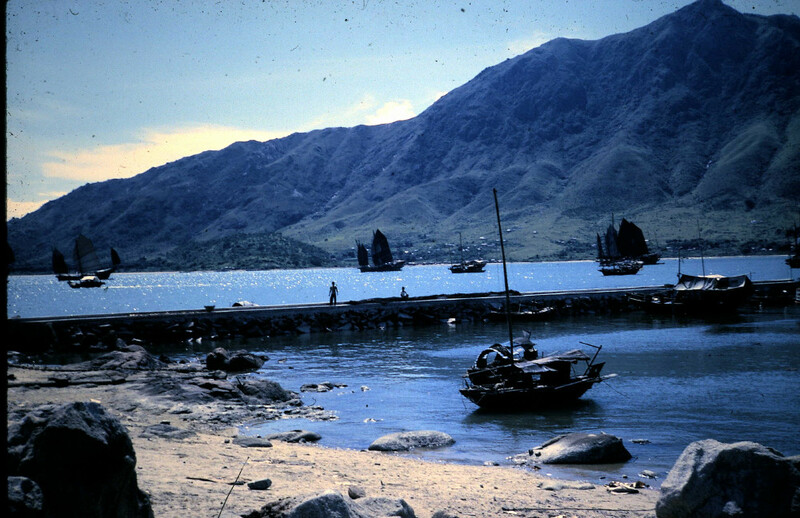 This Tai Pak was out in the countryside and left Hong Kong long ago. 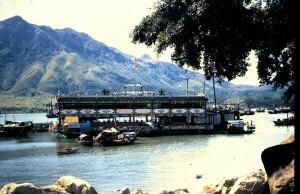 Aberdeen was another tourist spot back then, complete with other floating restaurants. 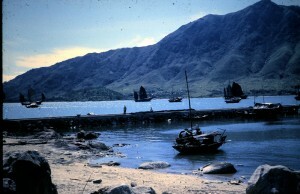 My mom probably took this photo from the Aberdeen Tai Pak. By the time I arrived in Hong Kong in 1990, sampans were a thing of the past, besides the occasional tourist jaunt. Back in 1962, they were still commonplace. 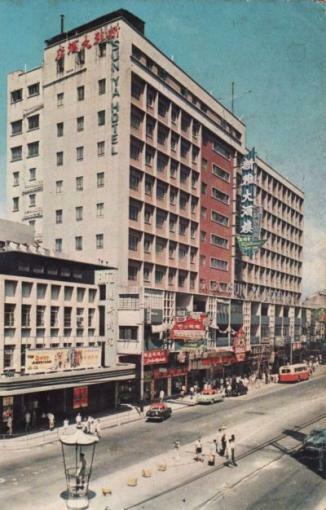 This photo was snapped a year before my mom stayed at the Sun Ya Hotel in Mongkok. 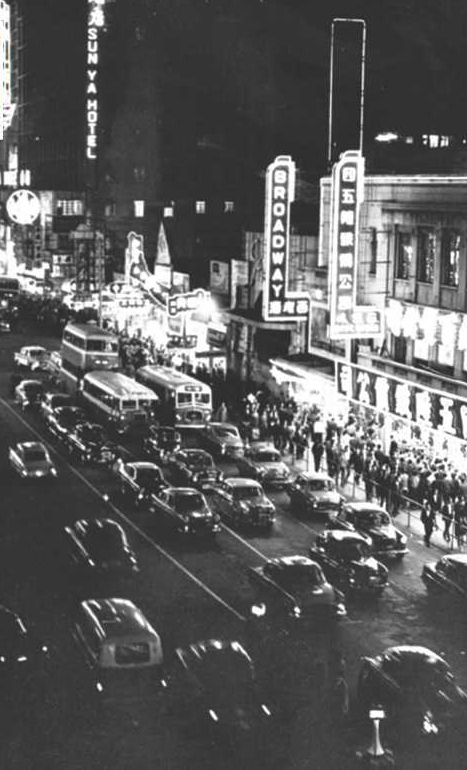 From the photos I’ve seen from this area back then, not much changed between 1961 and 1962. Incidentally, I often hung out in this area some 30 years after my mom stayed here. 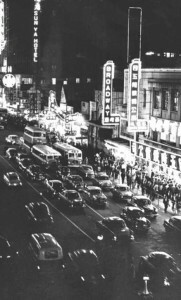 I spent my 24th birthday at the Broadway theater. 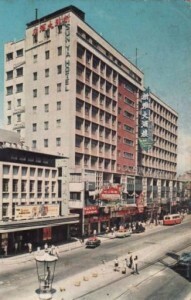 Here’s what the hotel looked like during the day. Across the South China Sea, Chiang Kai-shek was still running the show in Taiwan under martial law. May Hong Kong enjoy 10,000 years of prosperity. Happy New Year! I love the light in these photos – I think it’s a trick of the old film, though. How can I be nostalgic for something I never experienced in the first place? 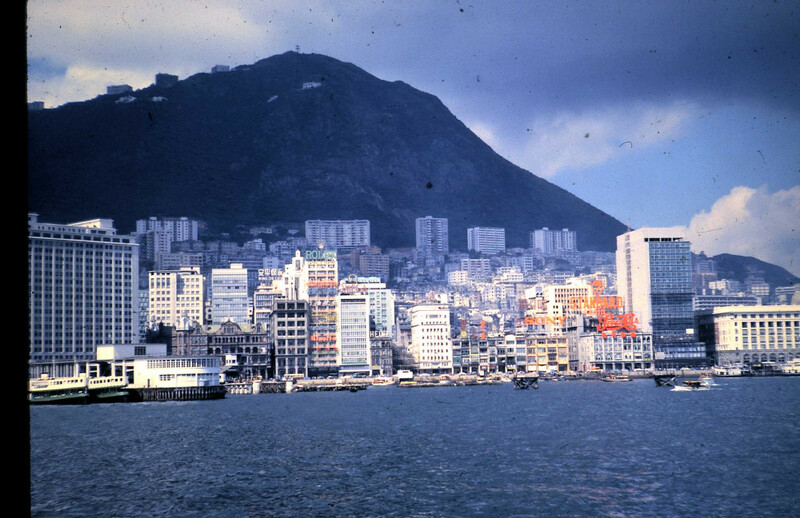 I’m nostalgic for it, too, and I saw Hong Kong almost 30 years after these photos/slides were shot. 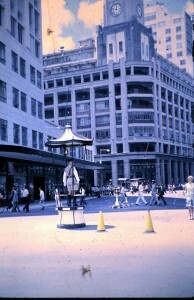 Many of these images came from slides stored away in my grandmother’s basement. It’s amazing they held up. What a lovely montage and it brings back so many memories. I remember airplanes flying over KGV and the deafening noise! 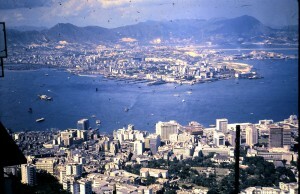 And yes, the skyline of HK island has changed sooooooo much… City Hall is barely visible now. Thanks for such a happy reminder and Happy New Year to you too! Thanks so much for your lovely comment, Anju! I loved hearing and seeing the planes flying overhead in Kowloon. Even better, it was so convenient to get to the airport! The Police Pagoda is so cute. Hong Kong is the bridge between mainland China and the Western world. It has the most free economy in the world. There is a tug of war. The people of HK want mainland China to move and be like HK, and the regime in Beijing wants HK to move and be like mainland China. Does you memoir have many pictures from HK? Thanks for your comment! I also love those police pagodas and wish I’d been able to see them. I heard that even after the traffic lights went in, they would be turned off at night because power was in short supply. My mom told me about the water shortages in 1962 and how it would only be turned on for a couple hours in the morning. When I arrived in 1990, once in a while our water would be turned off at the university. The things we take for granted in the west! I should have quite a few photos of Hong Kong in the 90s in my memoir, but it all depends on who publishes it. I’ll probably have even more of Hubei province! Susan, if most of your Memoir is in Hubei, you might wish to contact Wuhan University if they are interested to publish it. While your book isn’t academic (and that’s what universities usually publish), you might be able to present it as contribution to Hubei Province. My book, for example, is being read now by the editor of top 5 univesity in China. Find a way to present it. That’s so great about your book, Giora!! Some academic presses have a trade press imprint, and China is probably no exception. I’m still trying the US agents, but will certainly look into all options!! It’s unlikely that they will publish it, but it’s nice that they are reading it. In this very competitive book publihsing market, you have to cast your net wide in order to catch a fish. I’m also in the North America market, but expanding also in China. Wishing you good news in 2012.